NEW YORK (WABC) -- Chicken sandwich lovers no longer need to go to Brooklyn to get their fix with Shake Shack's newest menu addition - it's now available across the country. 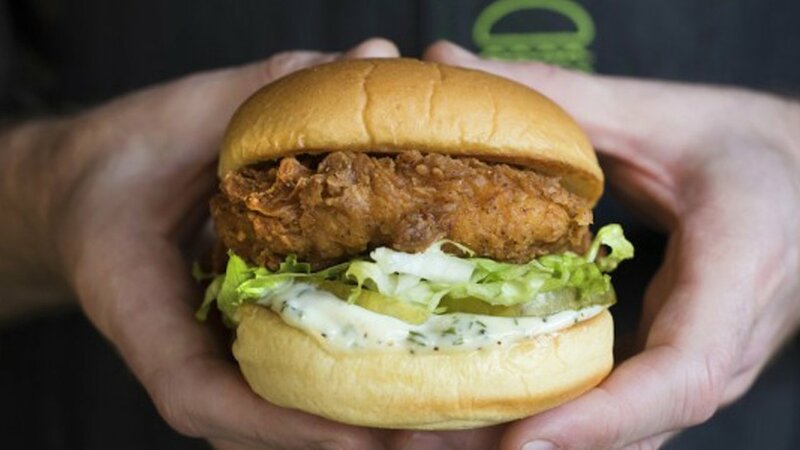 Shake Shack had been trying out its "Chick'n Shack" sandwich at the chain's Brooklyn locations since last summer, and decided to make it available nationally Thursday. Although, the company said it won't be available at New York City's Theater District Shack, JFK Airport Shacks and stadium Shack locations. The Chick'n Shack is a fried chicken breast served with lettuce, pickles and buttermilk herb mayo. It costs $6.29. If you like your sandwich spicy, Shack Shack has added hot sauce as a condiment at its restaurants. The chicken sandwich release comes just a few months after the chicken sandwich chain Chick-fil-A opened its first standalone location in Manhattan.